It's Never too Early . . .
Vermonters love to get the most out of every season, and ski season is no exception. 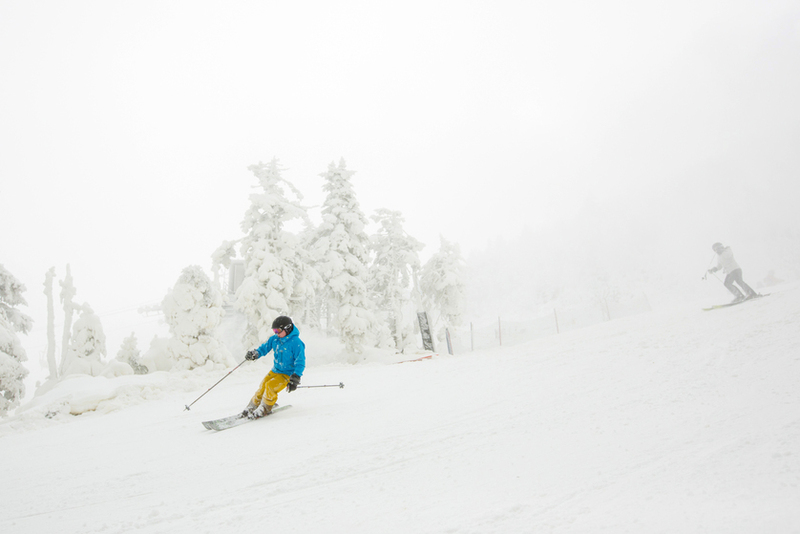 To that end, Killington Mountain, a.k.a., “The Beast,” has already begun its quest for the longest season in the East with runs open as early as October 19th. It’s never too early to get your pass and skis ready, or perhaps this is the year that you find your perfect Vermont ski house. 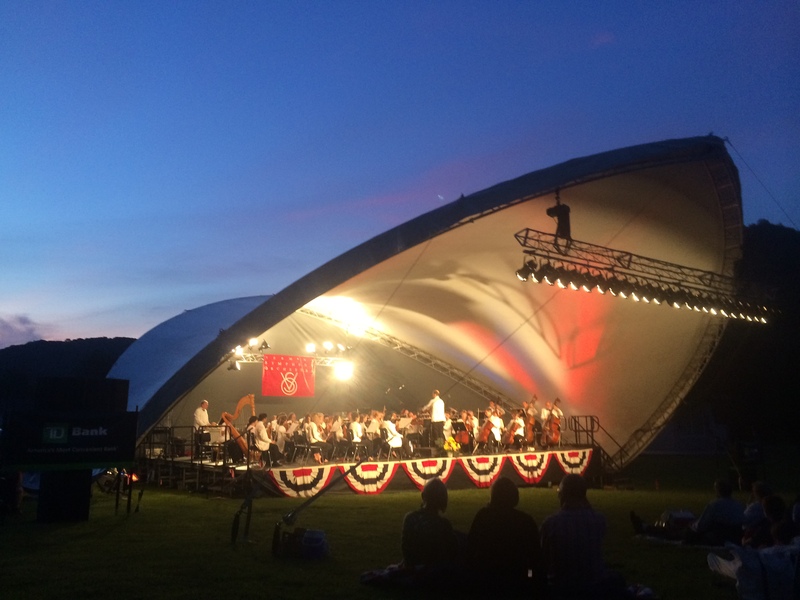 One of the highlights of summer in Woodstock is listening to the VSO perform at Suicide Six in South Pomfret. This year’s TD Bank Summer Festival Tour brings an evening of enchantment straight to your picnic blanket beside the bandshell on Thursday, July 9th. As always, the evening will conclude with spectacular fireworks and the 1812 Overture. For more information and to reserve your tickets, visit Pentangle Arts. We’ll look forward to seeing you there! Depending on how spry I’m feeling, FH Gillingham & Sons General Store is either a hop, skip and jump or a short stroll from our Sotheby’s office. This is handy on days when I need a quick snack mid-day, a duplicate key, an interesting and useful gift for a client or when I just want to pop in and see some friendly faces. Gillingham’s is the type of place that has what you need when you need it and they’ve had my back for things like last minute gifts and various hardware items whenever they were needed. Walking into Gillingham’s is like walking back in time, floors creak and chirp keeping you company as you shop. The long thick boards have a patina earned honestly by bearing up under the trod of shoes, boots, and sneakers over a hundred years. It reminds me of Little House on the Prairie with the sweet aroma of wood and spice I imagine the show’s general store to have (Oleson’s Mercantile, for the curious few). Sarah and Ada, the resident mackerel striped cats make sure that nobody leaves without a smile on their face…not exactly Wal-Mart greeters, as they are a little picky about who they talk to. I imagine that as a kid, visiting Gillingham’s has to be a little slice of heaven. The first things you notice are the jars of candy lined up on the shelves (they have, bar none, the most delicious caramels ever to gum up a set of baby teeth). Adults may be more interested in the make-your-own peanut butter, fresh produce, hardware, and remarkable selection of fine and well-priced wines. 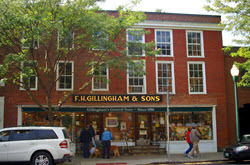 Gillingham’s has been at the center of the Woodstock community since the late 1800’s when Frank Henry Gillingham opened his doors and proclaimed “your money’s worth or your money back.” The store has occupied the brick building at 16 Elm Street ever since then and has flourished under family ownership. It is currently operated by F.H. Gillingham’s great-grandsons, Frank and Jireh Billings. The store’s success is due to their uncanny ability to keep up with the times, both new and old. They maintain strong ties to the store’s rich history and offer consistently good service and high-quality products. I believe that another reason for their success is community involvement, which includes partnering with local cheese companies, working with the Woodstock Business Alliance and Chamber of Commerce, and operating town water system under the aegis of the Woodstock Aqueduct. Gillingham’s has supported local farmers long before it became fashionable…over a hundred years before! Gillingham’s still delivers groceries. They figured out a workable system long before there were “apps” and internet food sites. According to Frank, this goes back to the early days when people who wanted a delivery (mostly elderly but not always) would place a blue card with a “G” on it in their window. Someone from Gillingham’s would ride around the community, in the company horse and buggy, and distribute the goods to houses sporting the “G.” They still do this today (though the use of the blue card has fallen away and the ‘infernal’ combustion engine vehicle replaced buggies). The description you will find on the Gillingham’s website refers to the store as: “One of Vermont’s oldest general stores, where you can buy everything from caviar to cow manure – accompanied by a farmstead cheese and a bottle of Corton Charlemagne!” That ‘bout covers it…oh, and they sell clothes and Muck Boots too. If you are like me, you have an old-school attachment to the local library. My attachment goes back to the stacks of books where I could become lost in my imagination as a kid, the cozy rooms where I hung out with friends after school whispering about our favorite stories, and the card catalogues that were written in impenetrable code I never deciphered. 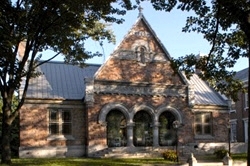 Woodstock’s Norman Williams Public Library has maintained this old-school charm (frankly, I prefer ‘historical’, not ‘old’), but they also offer all of the resources required by the technologically savvy kids that collect on its steps at the end of the school day. They provide two rows of computer terminals for public use. The kids don’t need to ask a lot of questions but, for their elders (aka techno-dinos) who are feeling a little lost, the library schedules one-on-one tutoring. When I was younger, one of the great things about going to the library was seeing my friends and simply getting out of the house. The Norman Williams Public Library knows it is in competition with electronic media, so they continually develop creative programs tailored to the needs of residents in the greater Woodstock area. The programs are ever-changing and wide-ranging. I don’t know of another library with enough creative juice to host a support group for the addicts of Downton Abbey who suffer withdrawal at season’s end while developing a Business Effectiveness Series for local professionals who want to strengthen their communication skills and sharpen marketing tools. They do all of this while simultaneously hosting story reading for pre-schoolers in the magical children’s section. I would say this is not your grandma’s library, but the truth is that it still is your grandma’s library and her grandkids’ too. The library still has everything grandma loved and has evolved and adapted itself to the modern world. The Norman Williams Public Library continues to nurture young readers with the generation-appropriate tools kids are reared on these days, in a venue where they can connect with their friends and neighbors to share the joy of learning. The Norman Williams Public Library Mission: The library enriches the intellectual and cultural life of the Woodstock community by providing access to literature, culture, current information, and technology; promoting the love of reading; fostering the free and open exchange of ideas; serving as a gathering place for people of all ages; and supporting lifelong learning for all.